Introducing Ali, a member of The East London Nu Community. Although you’re most likely to find her in one of her many black polo necks hunting for cheap avocados on Ridley Road market, Ali’s always on the look-out for an unusual piece to add to her wardrobe. With her style icons being Alex Chung and Florence Welch, that’ll come as no surprise to readers. 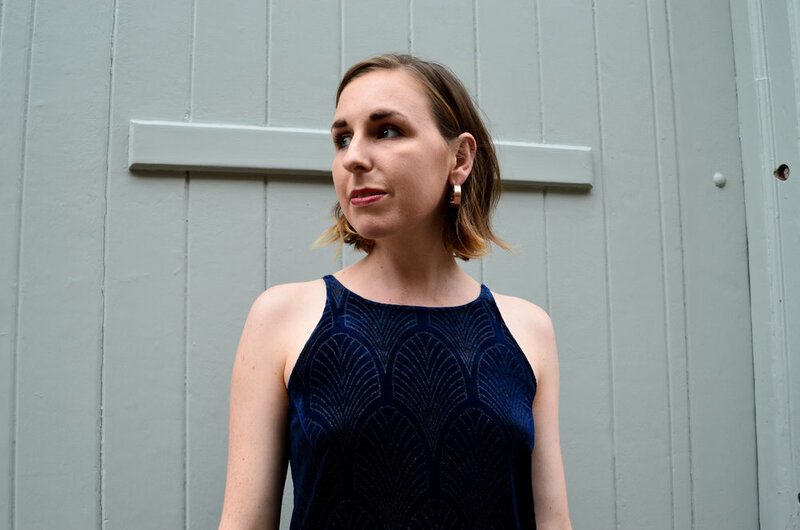 Her dream dinner party guest is the political campaigner and civil rights activist Jessica Mitford, so we thought Ali would probably have a thing or two to say about the fast fashion industry. Ali’s East London loves: Gigs in café Oto and the Shacklewell, and visiting Broadway Market. The bars and cafes generally, and the Arcola theatre and Rio cinema particularly. Oh, and Victoria Park and London field Lido!